If you've managed to download iMAME - a free MAME emulator for iPhone and iPad then count yourself lucky as it is no longer available in the App Store. MAME - Multiple Arcade Machine Emulator is a popular arcade machine emulator that can run arcade games with images of the original arcade game's ROM and disk data. 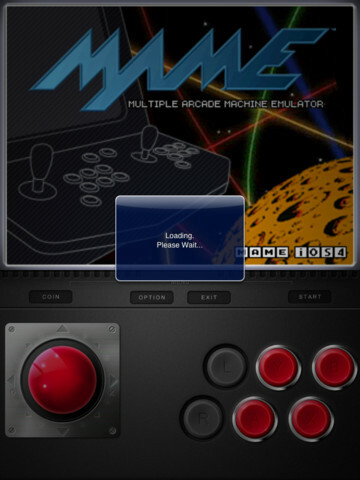 iMAME brought this popular arcade machine emulator to the iPhone and iPad preloaded with 9 ROMs. It also allowed users to easily add ROMs using iExplorer. This was obvious, now wasn't it? iMAME4all has been available in Cydia for years and it works perfectly well with the Wiimote on iPad2 / iPhone 4. Some ROMS are a bit ify but there's plenty out there if you know where to look. Even without the Wiimote, the on screen controls are fine. I have Mame on my laptop so was surprised to hear it was available for the iPhone. I downloaded it late last night from iTunes Spain. No longer available! Mame is great if you have a joystick to play it on your computer. You need a button control to play the game. Its tough to play with a pretend touch screen joystick on the iphone. I agreed with runrig, tried a few years ago but gave up but now thanks to ****.